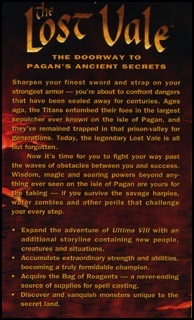 Ultima VIII: Pagan is the ninth installment of the main series and the thirteenth in the entire series, if Worlds of Ultimas and Ultima Underworld I and Ultima Underworld II are counted. It was released and published by Origin for the IBM-PC in 1994. It is part of the "Age of Armageddon" saga. While technically, the game is well-developed compared to Ultima VII/2, with full digital sound and better music, even more realistic graphics and a simple physics engine, the gameplay did not sit well with many of the fans of the series. The Avatar is again alone, with no party at all. The game is much more action-oriented than the other Ultimas, too much for many players. The world is smaller, with fewer characters, there are no portraits and less dialogue. The whole jumping-issue even caused Origin to write a patch. However, the positive aspect of the game is the story. The story is very mature, and deals with the dilemma that in order to escape, the Avatar, and therefore the player, has to accept that some evil things have to be done for the greater good. 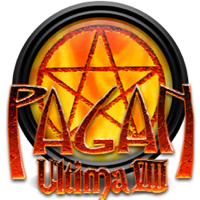 Ultima VIII didn't sell quite as well as its predecessors, mostly because of the disappointment with the game, and is generally seen as a step back in the series in general. 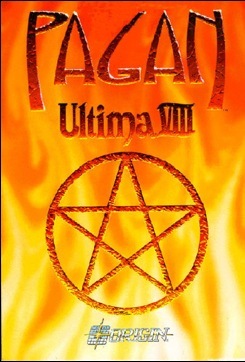 This expansion to Ultima VIII was planned from the outset, and was highly anticipated, but never released; it was canceled when the main game did not sell as well as had been expected, despite being all but finished and ready for duplication. 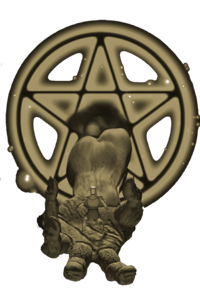 Hints from texts in the main game suggested that the expansion pack would have added a new story regarding resistance to the Pagan gods and followers of the old religion known as Zealans. 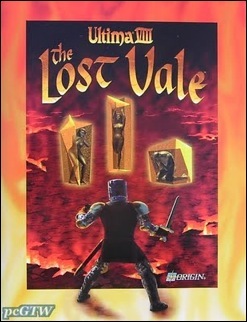 A single Lost Vale game box surfaced in October 2005, and was confirmed to be genuine soon afterwards. It was auctioned in eBay for US$1923. Garriott himself admitted, that it had been bad for the game to be on a deadline, with three months too few to finish it. Many elements from the original plot had been cut from the final product, to rush the game out on deadline. This caused several dead ends, plot threads being incomplete etc. The musical score was originally arranged and composed by Neno Vugrinec for the IBM PC version. These tracks were played on a Roland Sound Canvas SC55 and recored in digital format. Click on the lute to download the music files.